Chicago filmmaker Ashley Mills followed local activist Janae Bonsu for her documentary, "Unapologetic." That's how documentary filmmaker Ashley Mills describes the three black Chicago activists — all women — she followed as they embarked on several civil rights campaigns. It's also the name of her new feature-length documentary set to be released in November 2017. 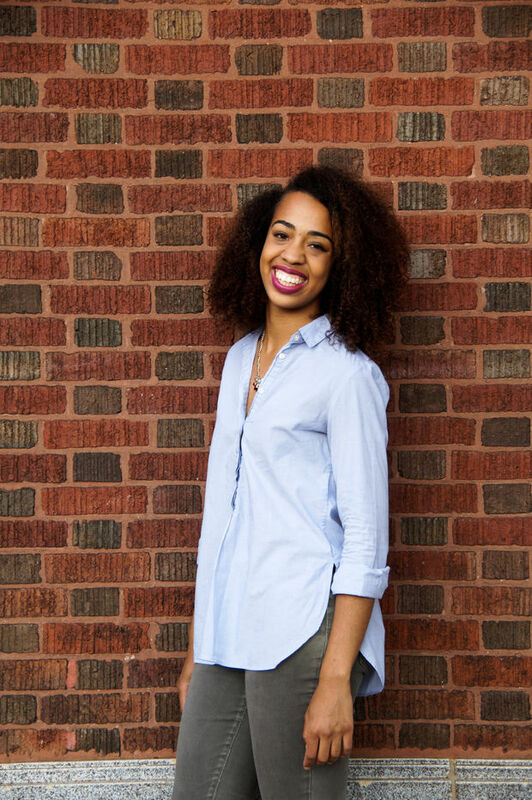 A Diverse Voices in Docs fellow with Kartemquin Films, Mills, 23, graduated from Northwestern's School of Communication radio/TV/film program last year. She is the documentary's producer and director. 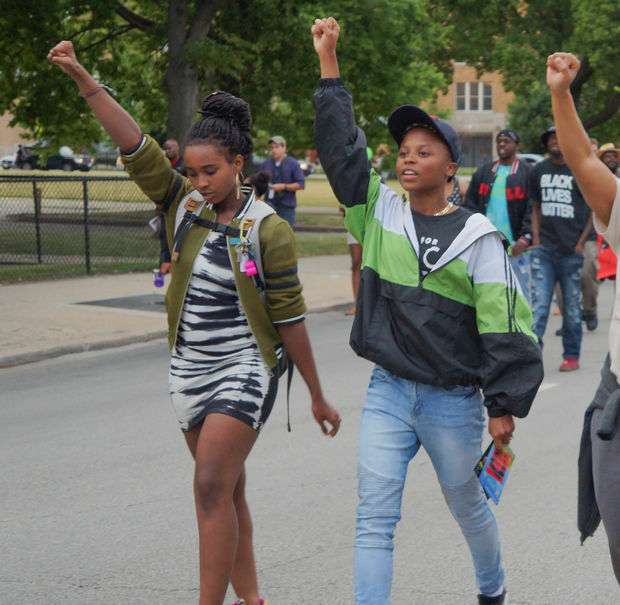 Over the course of a year, Mills captured three activist campaigns: the push for the firing of Dante Servin, the off-duty Chicago Police detective who killed 22-year-old Rekia Boyd; the election to defeat Cook County State’s Attorney Anita Alvarez; and #SayHerName, an effort to make state violence against black women and girls more visible. During this project, she documented efforts of groups like Black Youth Project 100, Assata’s Daughters and Let Us Breathe Collective. Chicago filmmaker Ashley Mills followed local activist Page May for her documentary, "Unapologetic." The original goal was not to create a full-length film, she said. As an intern with Kartemquin Films, was assigned to do a short documentary on a topic of her choice, but once Mills got the fellowship, she decided to extend her project. “It really grew in a way I didn’t expect it to,” she said. During her time in college, she said she was involved a little with the activism community. While interning with Kartemquin, Mills said she reached out to a friend to get help on a topic. 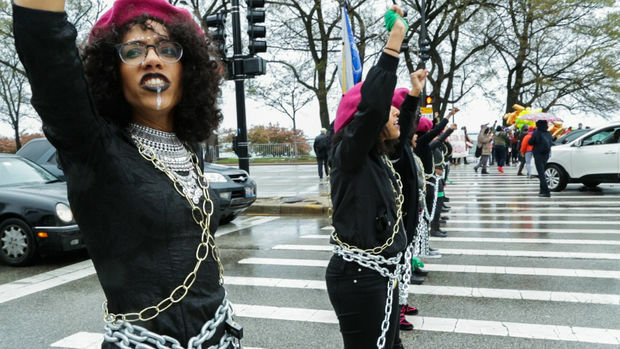 “Black women and black queer women in this community have always been at the forefront of activism,” Mills said, adding that Chicago’s black activism scene has a unique model. “At the core of the movement stood young black women, including those queer and trans-identifying, centering their narrative in the name of black freedom,” Mills said. She said few films have touched on the topic of Chicago black women activists. Chicago filmmaker Ashley Mills followed local activist Bella Bahhs for her documentary, "Unapologetic." In order to share a more rounded picture of the women, she spent a few days with each of them in a variety of settings. Emily Strong, programs and engagement manager at Kartemquin Films, said the company's excited about showing a segment of Mills' film at its fall festival at ArcLight Cinemas on Nov. 3 at the Diverse Voices in Docs graduation. 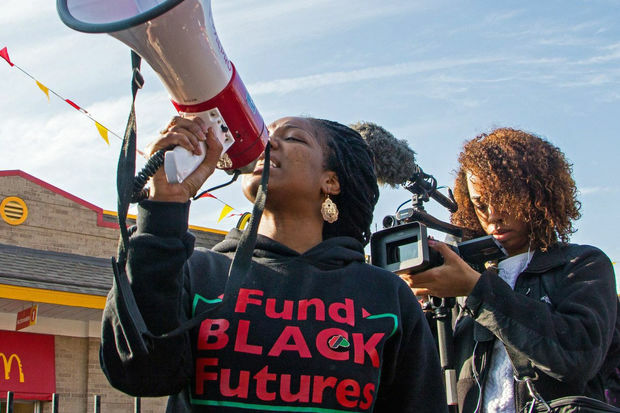 "Ashley's ambition and commitment to telling important social issue stories through documentary was at the forefront throughout her participation in both the internship and Diverse Voices in Docs programs at Kartemquin Films," Strong said. Mills has started piecing together her documentary, but she still needs help with postproduction costs. She launched an Indiegogo campaign earlier this month with a goal of raising $8,000.